Dyadic International, Inc. is a global biotechnology company focused on improving and applying its proprietary C1 gene expression platform, based on a patented and proprietary genetically modified strain of the fungus Myceliophthora thermophila, to address opportunities in the human and animal health markets. C1 is a potentially game-changing biopharmaceutical gene expression platform that may help bring biologic drugs to market faster than existing expression platforms, such as Chinese hamster ovary (CHO) cells, E. coli and others, in greater volumes, at lower cost and with new properties that can improve access and cost to patients and the healthcare system. 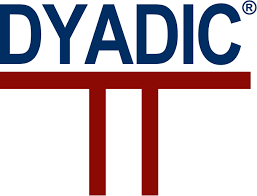 Dyadic is seeking partnerships to sub-license or partner its C1 platform technology in the vaccine, antibody and biosimilar industries.